Josephine Caplin (Jo) was born into a world marred by maternal abandonment, alcoholism and traumatic epileptic seizures. In grade three, she was apprehended by child services and separated from her protective brother and her early caregivers, her father and uncle, who were kind men with drinking problems. Placed into many alienating and lonely foster homes, Jo would not see her family again until she was fourteen. 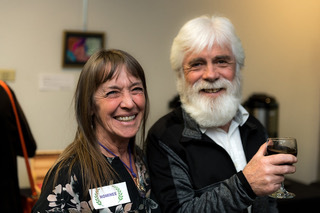 Throughout her life Jo fought symptoms of fetal alcohol syndrome, abuse by sadistic men and the collective horror of generations of ancestors forced into residential schools, causing many to believe Jo was destined to repeat a hopeless cycle. Yet she did not surrender to others’ despairing expectations: against all odds, Jo fought to create her own cycle full of hope and growth. 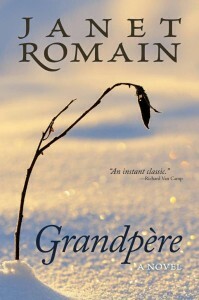 Born of a Métis-Canadian background, author Janet Romain delicately and proudly tells the story of her heroic friend and explores the tragic aftermath of Canada’s residential schools and the effects of colonization. Jo is a courageous woman who determined her own fate and reclaimed her life. 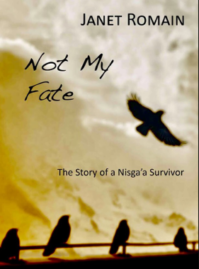 Not My Fate: The Story of A Nisga’a Survivor is her struggle to move past a legacy of hardship toward a life of peace and forgiveness.